Join us for the MAD MASQUERADE… – Ce Soir Arts – Be inspired tonight! Tomorrow is a very special day: it’s the MAD MASQUERADE! Dress in your scariest, most macabre Hallowe’en finery for an evening of elegant ghoulishness and fun! 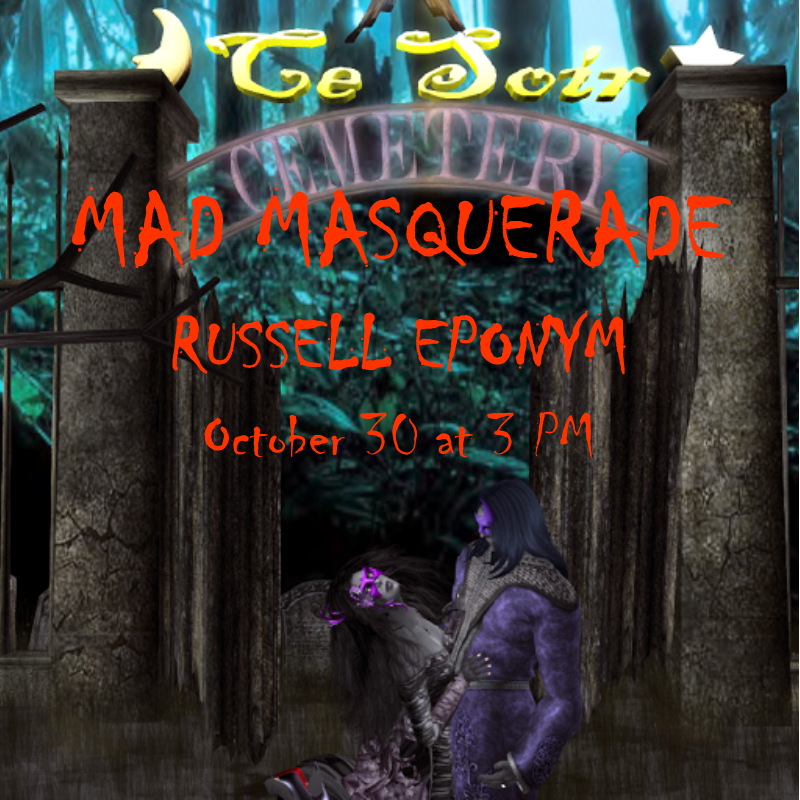 RUSSELL EPONYM joins us at 3 PM SLT at The Castle for 90 minutes of LIVE folk, blues, and beyond. It’s guaranteed to be a great time! The Castle has been transformed into The Ce Soir Cemetery – with all the requisite ghosts and goblins! MoShang Zhao will be in a 7 PM to provide us with an elegant slide into the night with some very cool Chinese CHILL…on our way to a spooktacular Hallowe’en! Join us at Ce Soir Arts for creepy fun!